What’s Angry Birds Fight! and how does it differ from other Rovio titles included in the Finnish company’s now-ubiquitous Angry Birds series? Well, this is one game you’ll want to check out if the typical Angry Birds title’s physics do little more than stress you out. That’s because this iOS and Android title is a Match 3 game, and one where you match three pieces while playing against real-life, human opponents from all over the world. 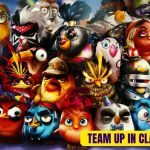 It’s pretty much a hybrid of Match 3 gaming and fighting titles, but before you get going and begin your mission to take out those piggies, you may want to take a look at our list of Angry Birds Fight! cheats, tips and tricks that will help you understand the game better. Stringing together combos is a very useful tool that could help you get out of a tight bind. 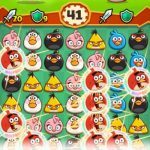 That’s also the case in Angry Birds Fight!, as you’ll have to push forward and keep on making matches the very moment you’ve completed one; pay full attention to the board, and not at the other factors that may prevent you from making a good match. You’ll have a much better chance of stringing together combos if you make your matches from the bottom, then go up over time. This may be very different from your usual Match 3 game, as those games generally do not put you in any kind of real pressure. 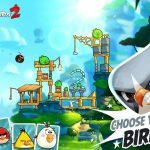 However, things are different in Angry Birds Fight!, as you’ll need to be quite fast in your actions as you strive to match more tiles and progress further into the game. Well, you can reserve them for some other time when it comes to fighting in the battlefield. That’s going to fire up your birds and give them a solid, if not spectacular boost once you make it to the next level. Why should you watch these videos right before you fight those bad piggies in a boss battle? The answer is simple – you’ll get an attack boost by watching videos. And if a boss battle turns out to be a piece of cake for you, you’ll want to save your attack boost for the challenges. The moment you get better, higher-quality items, you’ll want to sell the old ones, particularly those that are substantially weaker, and/or common. Once an item is supplanted by something better, it wouldn’t make sense to keep the item around, as they immediately become forgotten, obsolete afterthoughts in Angry Birds Fight! 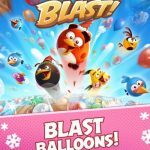 While it’s understandable to have a favorite Angry Bird, as far as this game goes, you’ll have to level up your birds equally across the board. This will allow you to have a pick of birds that you can use in certain missions as you tailor-fit your strategy for the requirements of these missions.